WEDNESDAY, Sept. 27, 2017 (HealthDay News) -- Amid efforts to stem the U.S. opioid crisis, a new study suggests how long patients should take prescription opioid painkillers after surgery. After general surgery, the ideal duration is four to nine days, said researchers from Brigham and Women's Hospital in Boston. For women's health procedures, four to 13 days is appropriate, while six to 15 days of narcotic painkillers is reasonable for musculoskeletal surgery, according to the study. 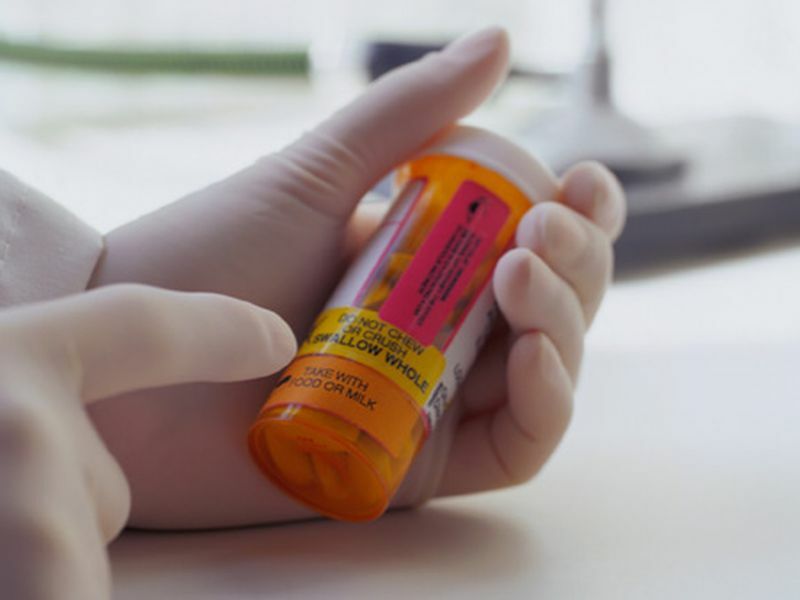 "An opioid prescription after surgery should balance adequate pain treatment with minimizing the duration of treatment and potential for medication complications, including issues with dependence," wrote Dr. Louis Nguyen and colleagues. Overuse of opioid painkillers -- such as OxyContin (oxycodone) and Vicodin (hydrocodone) -- has contributed to the opioid abuse epidemic and the skyrocketing rate of overdose deaths in the United States. Four times as many opioid prescriptions were issued in the United States in 2012 as in 1999, the researchers noted. Medical experts acknowledge the dilemma. "We all know that surgery can be painful, and one of the best painkillers that we have are opioid pain medications," said Dr. Yili Huang. He is director of the Pain Management Center at Northwell Health's Phelps Hospital, in Sleepy Hollow, N.Y.
"Unfortunately, overprescription of these medications has contributed to the current 'opioid crisis' associated with a surge in overdose deaths in the United States," Huang added. "Millions of Americans have become chronically dependent on these pain medications that can cause a wide range of adverse effects," he said. "In response, many governmental efforts have limited the initial prescription of opioid pain medications to fewer than seven days," Huang noted. "But is that enough?" An addiction expert welcomed the suggested guidelines. "Despite ongoing policy efforts and public awareness campaigns, overprescribing of opioid medications remains a nagging symptom of much deeper systemic issues," said Dr. Harshal Kirane, director of addiction services at Staten Island University Hospital, in New York City. "Most U.S. physicians lack any formal clinical education in pain management or addiction care," Kirane explained. "As such, guidelines for opioid management are critical in shaping physicians' practices and, to date, most guidelines focus on restricting access without consideration of clinical context." The new report "puts forth a framework for optimizing opioid management following common surgeries. This is an important step forward in developing a much-needed evidence-base for future guidelines," Kirane said. "Notably, their findings suggest different types of surgical procedures benefit from distinct durations of opioid management." In the new study, researchers analyzed U.S. Department of Defense data from more than 215,000 patients who had common operations, including gallbladder removal, hysterectomy and back surgery. Week-long prescriptions aren't enough after some procedures, the researchers reported Sept. 27 in the journal JAMA Surgery. Seven-day limits on initial opioid painkiller prescriptions "are likely adequate in many settings, and indeed also sufficient for many common general surgery and gynecologic procedures," the study authors wrote. However, "in the postoperative setting, particularly after many orthopedic and neurosurgical procedures, a seven-day limit may be inappropriately restrictive," Nguyen and colleagues said in a journal news release.